Technology is meant to make everything so much easier. But today, the technology journey of an organisation has so many more considerations, it is leaving many CIOs in a quandary over what solutions to purchase, deploy, support and manage. In fact, our latest research reveals 71% of CIOs claim it’s becoming increasingly complex to understand the right technology to use. How did things get so difficult? According to 66% of CIOs, cloud is the biggest factor behind IT’s growing complexity, followed by software licensing and legacy technology (both 51%). The challenge of transforming traditional IT estates and organisations is no small undertaking – but the need for this transformation is driven by business demands, therefore cannot be ignored by CIOs. As the survey highlights, transitioning from an internet-enabled business to a digital one presents a huge increase in complexity for IT departments designed for ‘business as usual’ operations. Furthermore, traditional integration, licensing and management models that were not designed with cloud in mind are compounding the issue. 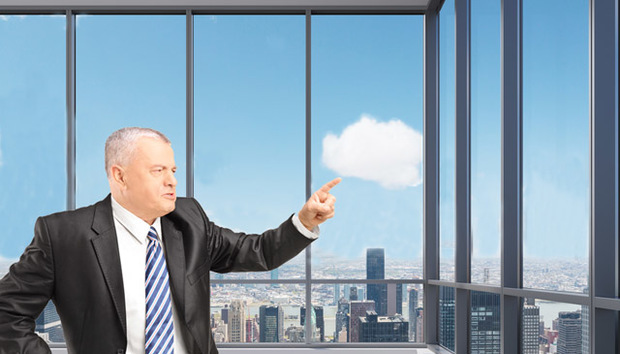 The growth of cloud, combined with an increasingly complex software licensing landscape and the need to manage legacy infrastructure has made it difficult for CIOs to know where to start when it comes to simplifying their IT operations. How can things get simple again? It’s unsurprising then, that as many as 79% of CIOs said simplifying IT was a priority for their business. However, the complexity of managing and transforming legacy IT is difficult to reconcile with pressures from the business to assist with innovation – when asked, 89% of CIOs stated they found simplifying legacy IT while driving innovation a challenge. In practice the CIO must be able to manage and stabilise legacy IT, while encouraging innovation through activities such as new application development and big data analytics. However, balancing traditional IT operations with the increased rate of change demanded by digital technology disruption can feel like a catch-22 situation for CIOs. It’s a huge challenge for IT departments to do it all on their own. In fact, 80% of CIOs thought they lack the necessary in-house skills and resources for IT transformation projects. In order to simplify their IT environment, CIOs need to know what changes will deliver real business value. To ensure success, engagement is required with lines of business alongside a broad understanding of what is possible with cloud and digital technology. In a nutshell, CIOs need to be focused not just on the mechanics of individual technologies, but align themselves to the broader business landscape in order to deliver real innovation. IT departments spend much of their time on day-to-day ‘utility’ work, but it limits the capacity of CIOs to deliver the transformation the business often demands. When we consider the challenges around legacy technology, software licensing, cloud computing and the IT skills gap aren’t going to disappear, the need to find the right support in managing the day-to-day requirements grows. Ultimately today’s IT department needs to be able to drive the business forward, not just act as the ‘tech support’ team.